Take on the deep blue sea as you tackle a variety of fish with our Reef Fishing Tour. Travel on a short boat ride with our experienced captains and guides as you journey to the many fishing spots along the Belize Barrier Reef. Start your trip off by catching fresh bait with cast nets near the mangrove formations. Venture further along the Barrier Reef where our local guides will lead you to the drop-offs ideal for catching king mackerel, barracuda, grouper, jacks, and a variety of snapper. 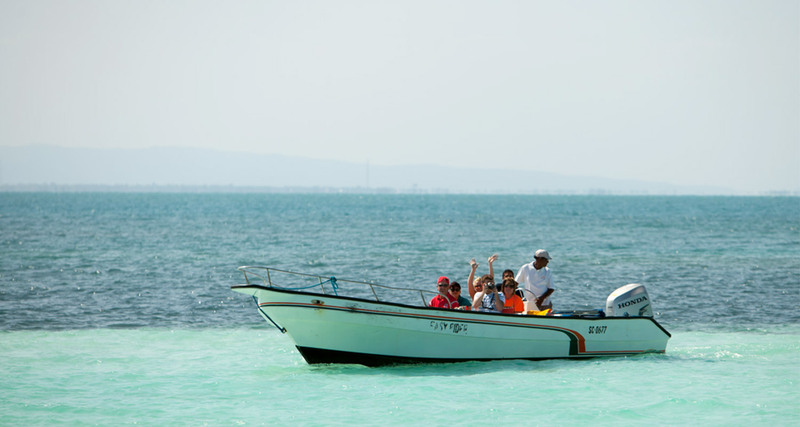 Catch them if you can as you enjoy our Reef Fishing Tour. Our top-notch chef will be more than happy to cook your catch of the day to your specifications upon return to the resort. The Reef Fishing Tour is not included in our all inclusive packages.